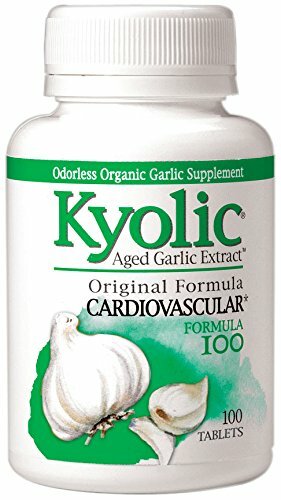 Kyolic Aged Garlic Extract Cardiovascular Formula 100. Description: Support Cardiovascular Health. Cholesterol Levels, Circulation, Immune Function, Liver Function and Nerves. Cardiovascular. 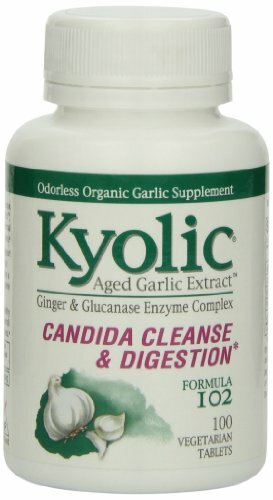 Kyolic Aged Garlic Extract. Begins with 100% organically grown garlic bulbs. They are then aged to perfection in a unique extraction process to eliminate odor and create beneficial compounds found only in Kyolic. This formula supports your cardiovascular system by maintaining circulatory function and overall health. Free of Sodium, yeast. Disclaimer: These statements have not been evaluated by the FDA. These products are not intended to diagnose, treat, cure, or prevent any disease. 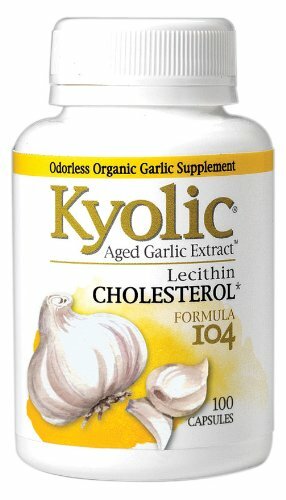 Kyolic aged garlic extract cholesterol formula 104. Description: lecithin cholesterol. Odorless organic garlic supplement. 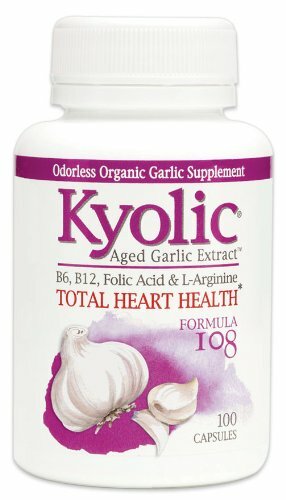 Kyolic aged garlic extract begins with 100% organically grown garlic bulbs. They are then aged to perfection in a unique extraction process to eliminate odor and create beneficial compounds found only in kyolic. This combination of lecithin and aged garlic extract supports healthy cholesterol levels and overall cardiovascular health. Take the best - kyolic aged garlic extract, the most scientifically researched, highest quality and best-selling odorless sociable garlic. Free of sodium, yeast, dairy. Disclaimer: these statements have not been evaluated by the FDA. These products are not intended to diagnose, treat, cure, or prevent any disease. 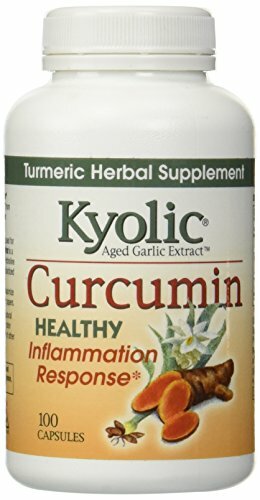 Kyolic Curcumin is a synergistic combination of Meriva Turmeric Complex and odorless, organic Aged Garlic Extract to provide nutritional support for healthy inflammation response. Aged Garlic Extract [150 mg]; Meriva Turmeric Complex (proprietary blend of curcumin and phosphatidylcholine) [500 mg] (per capsule). Curcumin is the key antioxidant in the spice turmeric, long used for its powerful phenolic antioxidant benefits. Meriva Turmeric Complex is a proprietary and patented blend of curcumin and phosphatidylcholine for superior absorption and bioavailability compared to standardized curcumin extracts. Kyolic is a powerful antioxidant produced by a special extraction process to maximize beneficial compounds, and is supported by over 650 scientific publications. Take Kyolic Curcumin each day to provide a powerful and natural support for healthy inflammation response, joint function, colon and liver health, cardiovascular benefit, as well as a variety of other nutritional benefits. In complance with the California Certified Organic Farmers. 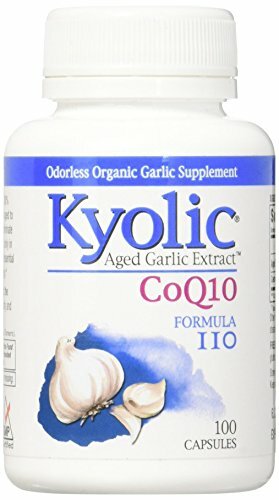 Kyolic Aged Garlic Extract CoQ10 Formula 110. Description: Odorless Organic Garlic Supplement. Ages Garlic Supports Healthy Cholesterol Levels. Circulation, Immune Function, Liver Function and Nerves. Kyolic Aged Garlic Extract begins with 100% organically grown garlic bulbs. They are then age to perfection in a unique extraction process to eliminate odor and create beneficial compounds found only in KyolicCoenzyme Q10 is a potent anti-oxidant essential for healthy heart function and cellular energy. Take the best - Kyolic Aged Garlic Extract, the most scientifically researched, highest quality and best-selling odorless Sociable Garlic. Free of Sodium, Yeast, Dairy, Preservatives, Sugar, Gluten, Artificial Colors and Flavors. Disclaimer These statements have not been evaluated by the FDA. These products are not intended to diagnose, treat, cure, or prevent any disease. 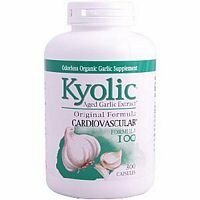 Kyolic Aged Garlic Extract Blood Sugar Balance. Description: Healthy Blood Sugar Balance. Aged Garlic Extract. Salacia. Bitter Melon. Chromium Picolinate. Niacin. 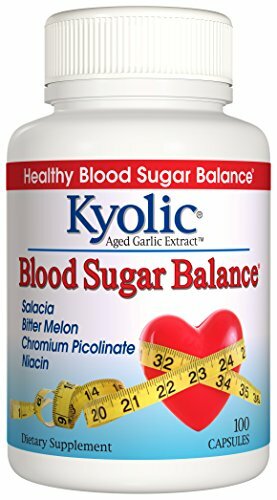 Kyolic Blood Sugar Balance is a synergistic combination of Aged Garlic Extract, made from organic garlic, Salacia, Bitter Melon, Chromium Picolinate, and Niacin. This unique combination of ingredients naturally supports healthy blood sugar balance and weight control, as well as cardiovascular and immune health, for overall well-being. Take Kyolic Blood Sugar Balance each day in conjunction with a healthy diet, regular exercise and plenty of rest for a safe and natural approach to promote optimal blood sugar balance, healthy weight management and overall cardiovascular and immune function. Free of Sodium, yeast, dairy, preservative, sugar, gluten, artificial colors and flavors. Disclaimer These statements have not been evaluated by the FDA. These products are not intended to diagnose, treat, cure, or prevent any disease. 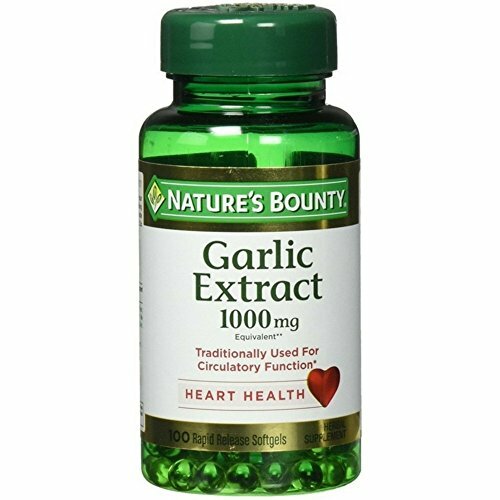 Looking for more 100 Garlic Extract similar ideas? Try to explore these searches: Cottage Retreat Vanity, Repair Tags, and Hydrating Body Moisturizer. Shopwion.com is the smartest way for comparison shopping: compare prices from most trusted leading online stores for best 100 Garlic Extract, Orb Stand, Inside Frost Finish, Garlic Extract 100 . 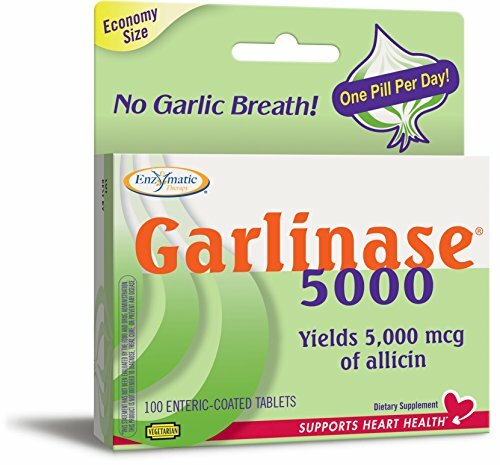 Don't miss this 100 Garlic Extract today, April 19, 2019 deals, updated daily.